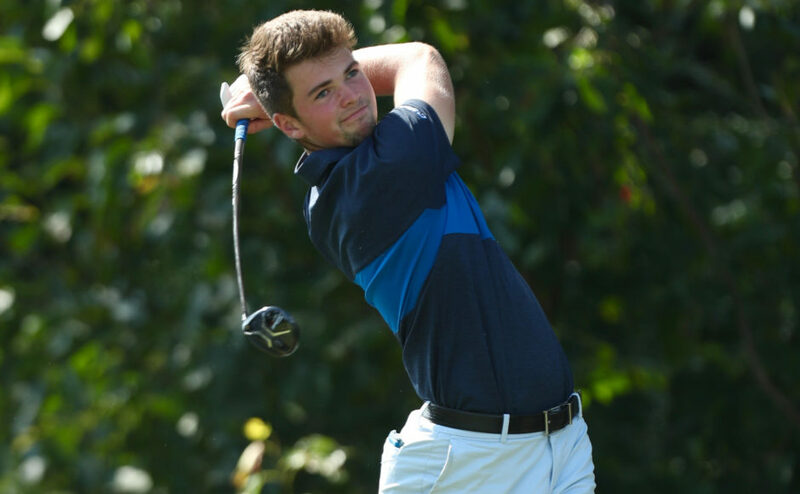 The Middle Tennessee Men’s Golf team played in the fourth annual Franklin American Mortgage Intercollegiate at the Grove Oct. 8-10 this week. The Blue Raiders faced Cincinnati, College of Charleston, Georgia Tech, Kennesaw State, Liberty, Louisiana, Memphis, Ole Miss, South Dakota State, South Florida and Troy. All 10 men on the roster played, with a five-man lineup and five playing as individuals. The five-man lineup included junior Marcus Byrd, sophomore Chip Thomas, junior James Beckner, redshirt freshman Tyler Johnson and sophomore Ilari Saulo. Individuals included junior Graham Gosselin, freshman Ryan Hines, Senior Hoyeong Kim, redshirt freshman Alessandro Noseda and sophomore Tanner Owens. 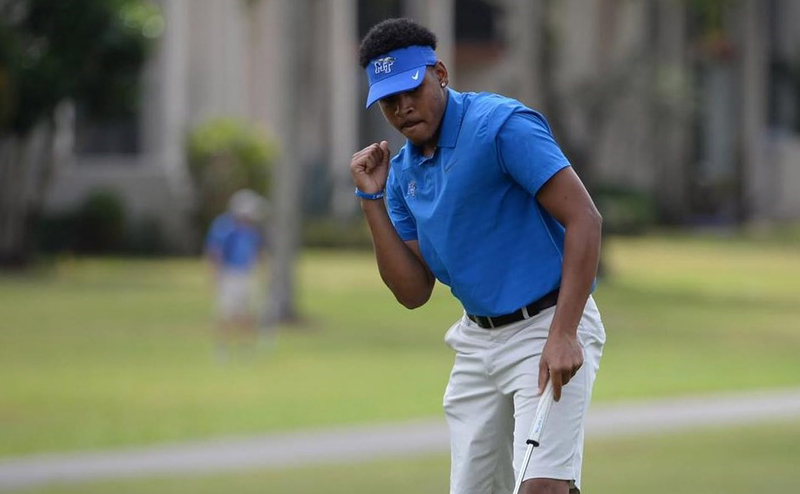 After carding a 292 score and ending day one in second place, the Blue Raiders’ five-man lineup led the way and showed no signs of slowing down. Byrd and Beckner both registered rounds 73 and tied for ninth, and each carded three birdies on the day. Saulo also put together a good day, turning in a 76, which tied him for 23rd on the day. Thomas tied for 45th and carded a 79 for the end of round one. Four out of the five individuals also scored on the day, with Owens leading the way at 23rd with a 76. 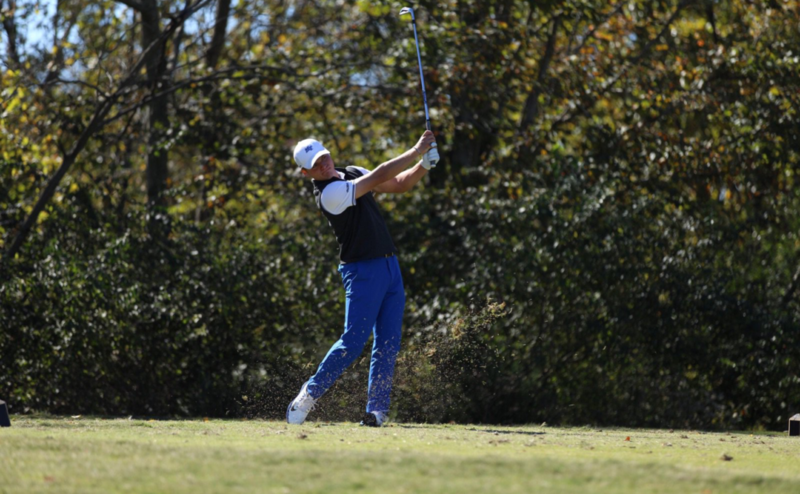 After shooting a 290 on day two, the Blue Raiders fell to third place. 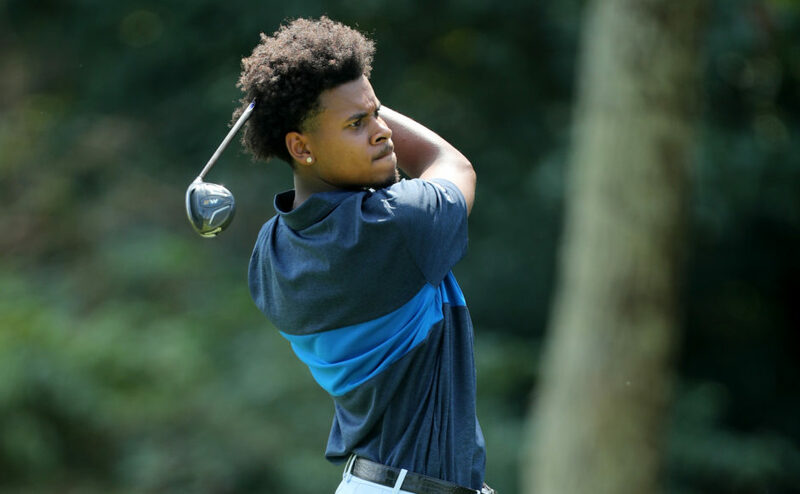 Byrd had one of his best days, carding a 69 on the day to tie for third place. Byrd was only three shots behind last year’s champion Braden Thornberry. Johnson carded a 73 on the day and moved up to seventh on the field. Beckner also played well, tying for 18th with a 75. Saulo finished day two registering a 77 and tying for 42nd. Owens once again led the individuals, tying for 18th overall including three birdies on the day. The Blue Raiders ended the Intercollegiate tied with Kennesaw State for third place behind Georgia Tech and Mississippi. Though the team did not end up where they wanted, Byrd ended the tournament by carding an even 72 and tying for fifth place with a 214 total. Johnson finished 13th overall in the field, ending with a 76 and 70 in the final rounds and a 219 total. Beckner ended with a 221 total, carding five birdies and tying for 20th. Thomas tied for 31st, ending with an even par of 72 and three birdies on the round and Saulo tied for 37th and ended with a 75. Owens led the individuals by tying for 13th and finishing with a 219 in the field. He turned in the Raiders’ top score of the day with a one-under par (71). 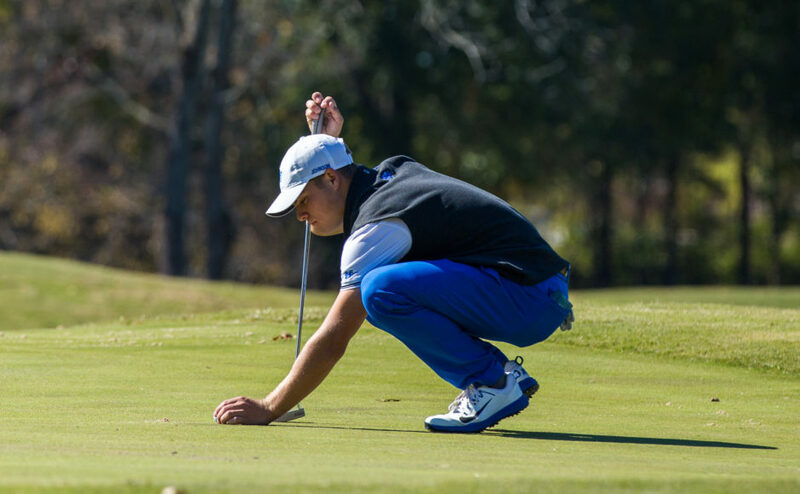 The Blue Raiders will be traveling to Vero Beach, Florida, to play in the Quail Valley Intercollegiate Oct. 23-24.